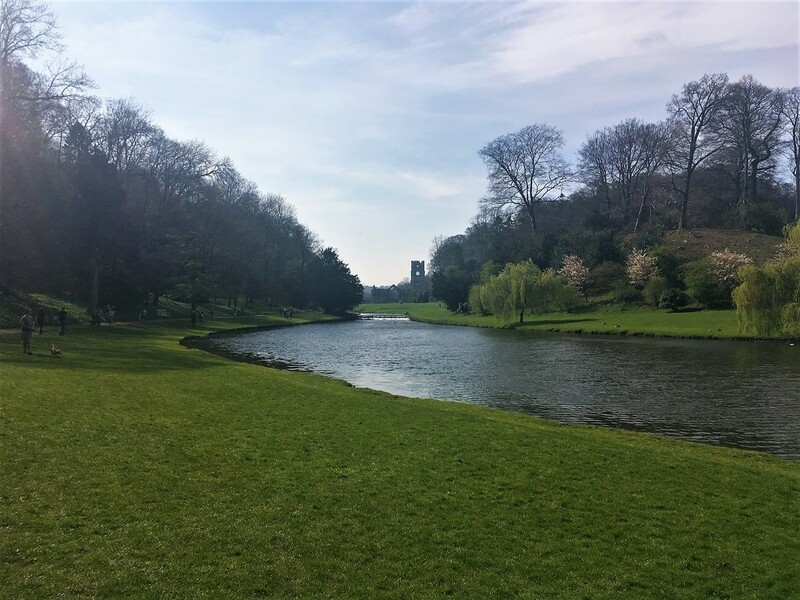 With the glorious weather this weekend we took the opportunity to plan a trip to Fountains Abbey and Studley Royal water garden a world heritage site near Ripon. After a week cooped up with an infection and a training ban I was eager to get back out and do some walking, especially in glorious weather. 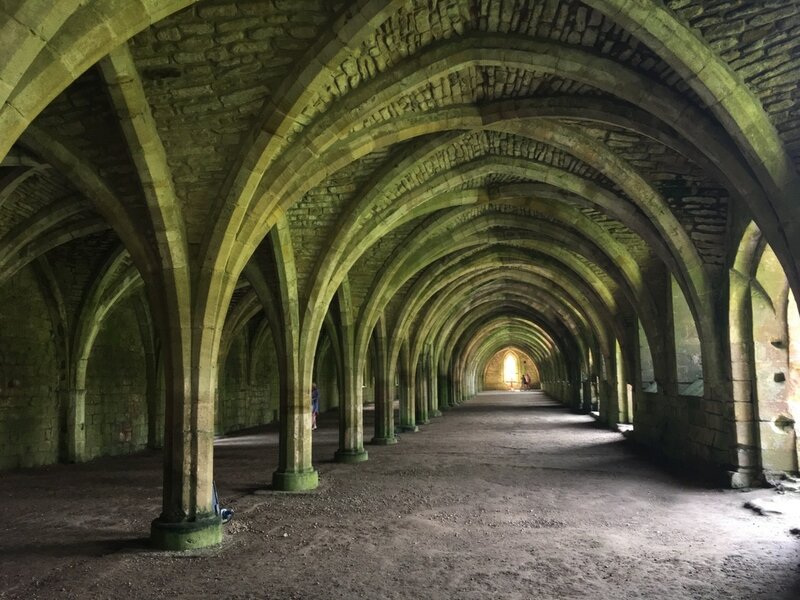 I’d taken Hubby to Fountains Abbey on one of our early dates in an attempt to sell Yorkshire to him (it worked!) and so was keen to take the kids to explore. My Daughter however was then poorly so Hubby sent me and my son on our own little adventure. 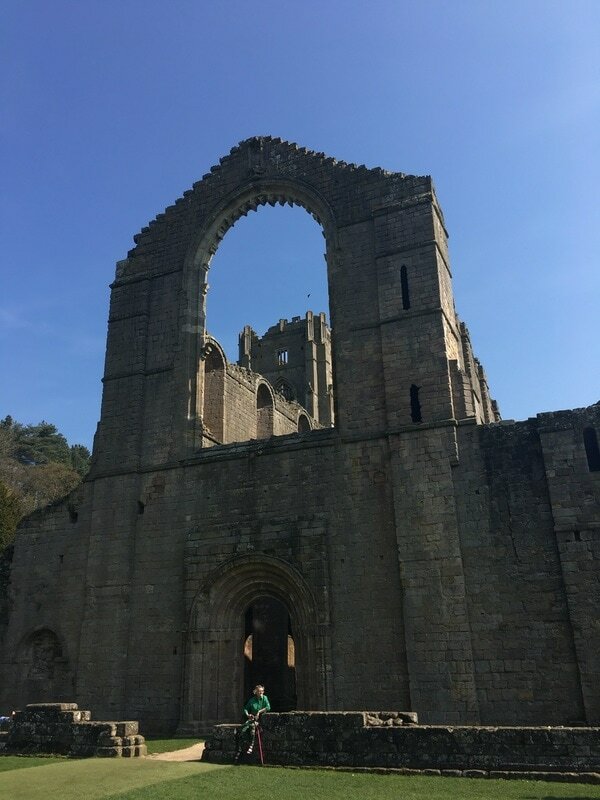 We had planned to do some of the walks we found on the website but we were both excited to see the abbey itself so first headed from the visitor centre down to the abbey. The surroundings are stunning and my 9-year-old even uttered a ‘Cool’ when we got our first glimpse and he practically dragged me down the winding path to get a better look. 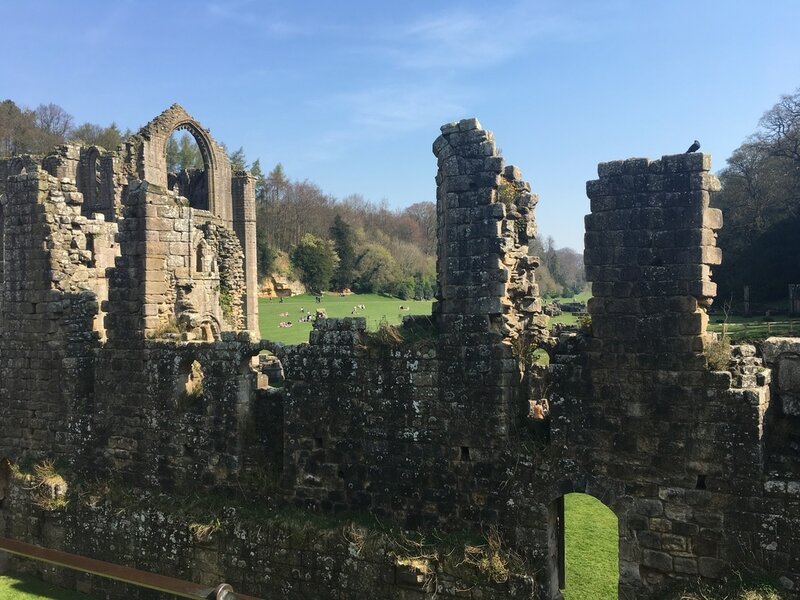 After wandering inside the ruins, we walked up the wide lawn and looked back at the abbey getting a fantastic view and from there took the footpath around the Studley Royal Water gardens. 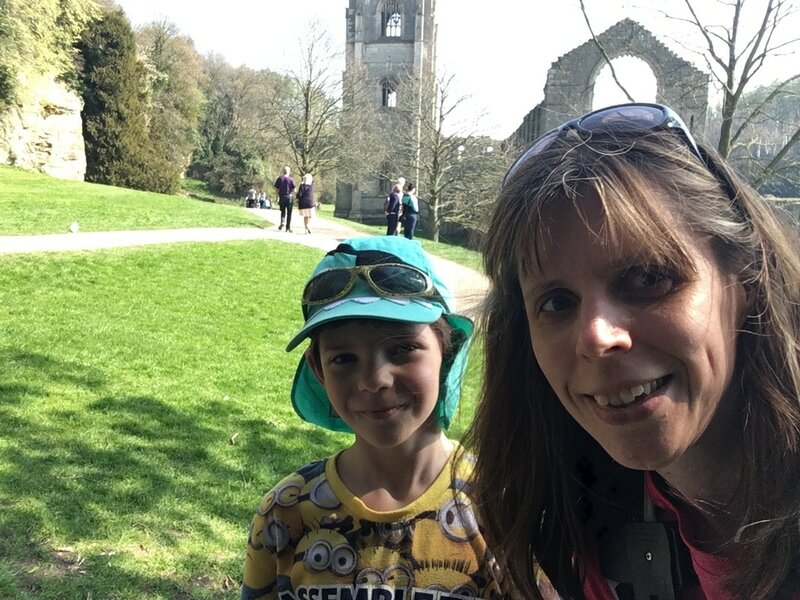 There are so many scenic views as you walk around that I could have spent all day just taking photos but we were on a mission to pick up the route of the ‘Seven Bridges Valley’… oh and find deer which were on my Son’s must see list. 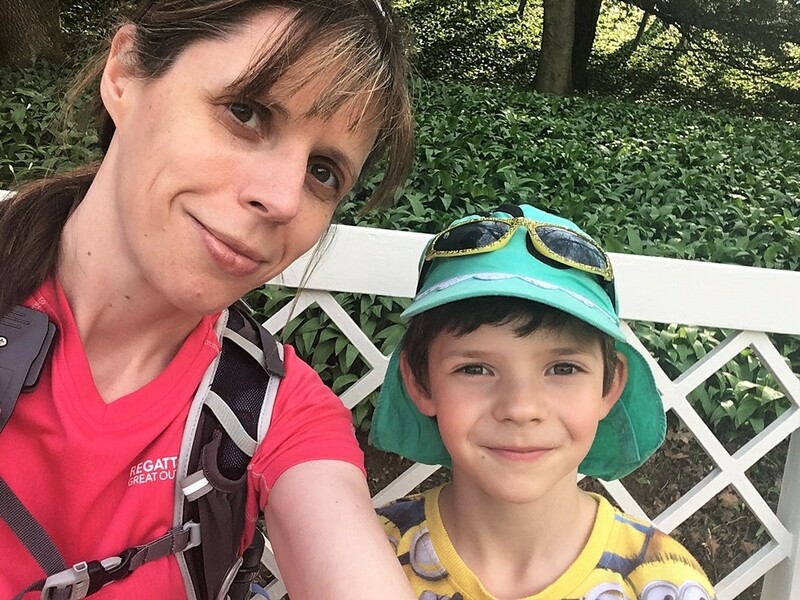 We picked up the route at the bottom of Studley lake and followed the path over the rustic bridges using one of the printed walking guides we’d picked up at the visitor centre. It was apt given I’m training for my China trek that these bridges now made of stone were originally timber and made in a Chinese lattice style and we would also walk past what were formerly Chinese gardens. The path then made its way up hill and we could smell the wild garlic and even managed to spot a few bluebells. Despite the full carpark we had the path to ourselves and as we walked through the woods my Son began to doubt my map reading and was convinced we were lost, never to find a deer! However, we soon came to the Mackershaw Lodge and its kissing gates to walk back down through Mackershaw park. There under a canopy of trees and enjoying the shade were some deer. My Son skulked off in hunter mode with the camera to have a look at what he was convinced were horses! He was miles away from the deer and I assumed all this time he had been taking photos, but no he was just looking at them through the camera so he could zoom in. We only got one fuzzy shot of them but mission accomplished. From here we walked back to Studley Lake, stopping for ice-cream and walking along another path past the Temple of Piety and moon pond and then eventually reaching the abbey again. 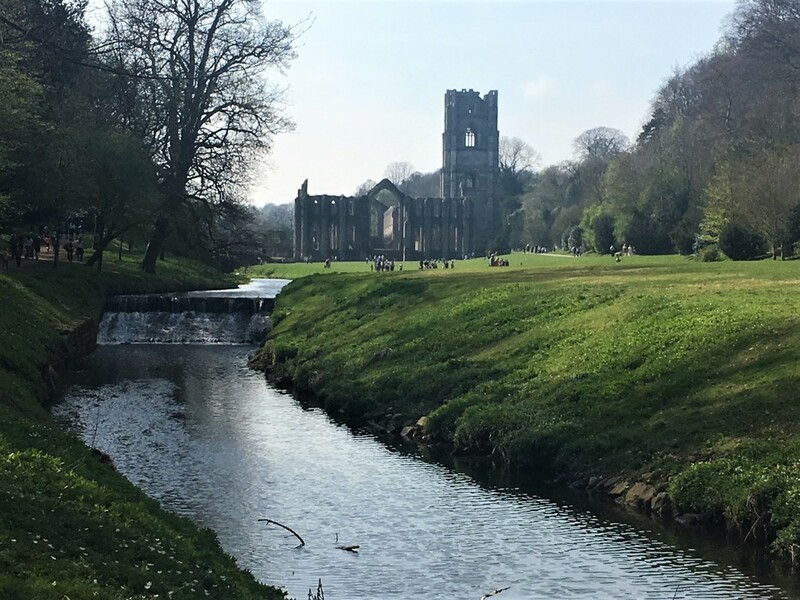 We had a great day, the scenery is so stunning and someone said to me the other day that Fountains Abbey has a magic about it and I can’t agree more. 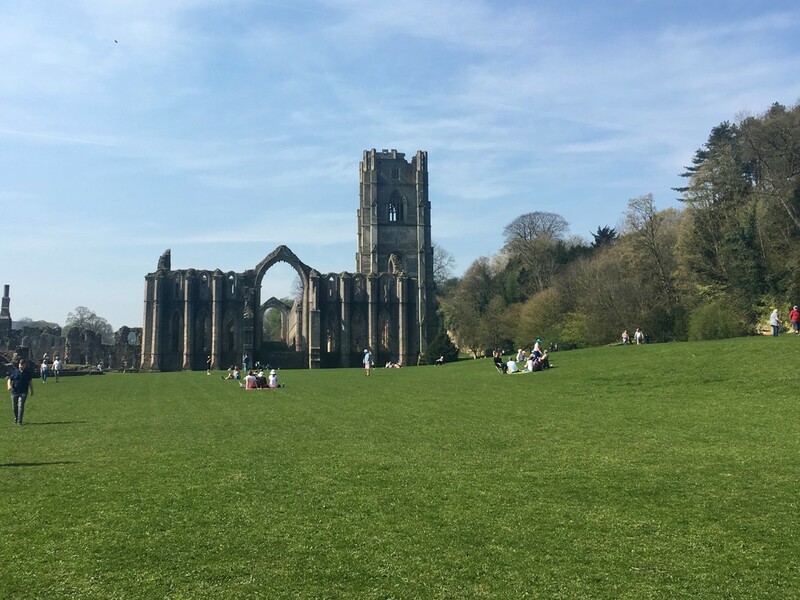 What did you do this weekend in the glorious weather? Let me know in the comments, we’re always on the lookout for new places to explore. Over on my Facebook page we have more pictures and videos of our adventures. All views are my own and I’ve received no incentive to write this post. Oh I love exploring castles (precisely what we did today actually). 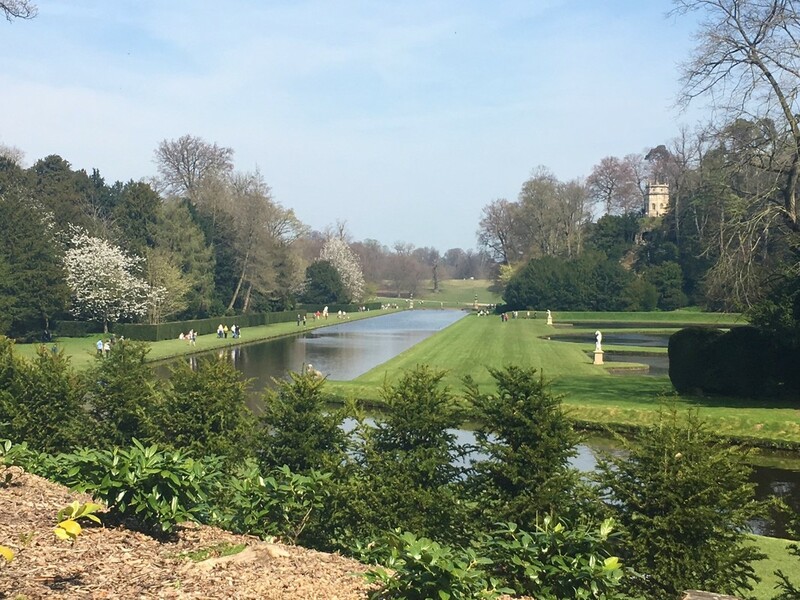 This looks like an awesome day out, thanks for sharing, Thanks for joining in with #TuesdayTreasures too! Thanks for reading Rachel. 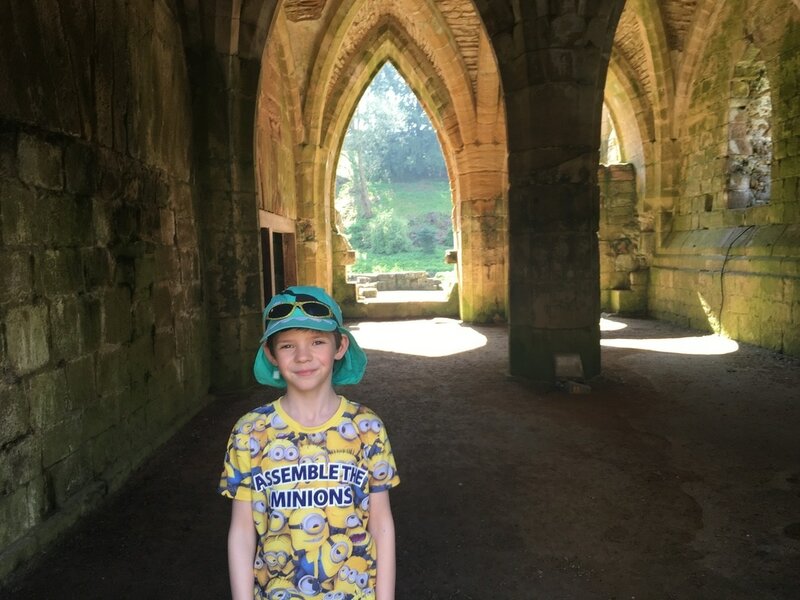 It was an awesome day out and my son is enthusiastic when there are ruins to explore.